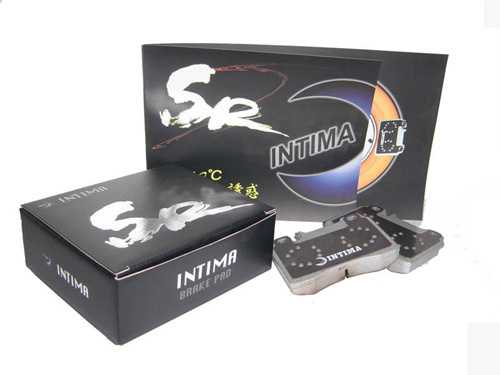 Description Unique high-tech formula, SR-6200, excites the most powerful potentiality of all the materials and accomplishes an elegant brake pad. With 600℃ の 誘惑, you will experience the extraordinary power and safety when speeding up, turning, and stopping on street or winding road. The performance of high thermal stability, no fade, noise reduction, rotor-friendly excels all the OEM-designed braking characteristics and absolutely satisfies all your driving desire. Recommended for High Performance Street, Sports, Performance Cars use. Improved Noise & Dust Control. Scorching pads Enhances Initial Effectiveness - No Break-In Required.